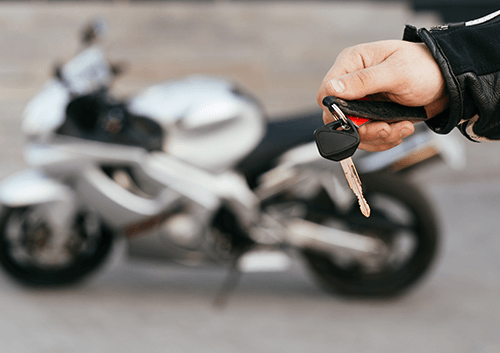 Whether you’re only a summer rider, just too busy, or keeping it for a loved one, it is crucial to understand that looking after a motorbike doesn’t stop when you’re not using it. Before anything else, give your motorbike a serious deep clean. You ought to be practised at disassembling your motorbike, and if you aren’t, use a thorough clean as an excuse to better acquaint yourself with best practice. Every single motorbike is different. You should hose the bike down with a mild detergent and plain water. Check the manual for a benchmark on how often you should be changing your bike’s oil. Engine oil that stagnates with a lack of use can effectively incapacitate an engine. This is one of the tasks you should be concerned with doing regardless of the environment your motorbike is stored in. Be careful that no moisture gets inside the muffler or the air cleaner housing, as this will rust the inside and wreak havoc. Importantly, make sure you clean all of the built up gunk off the chain, and lubricate it liberally with WD40. 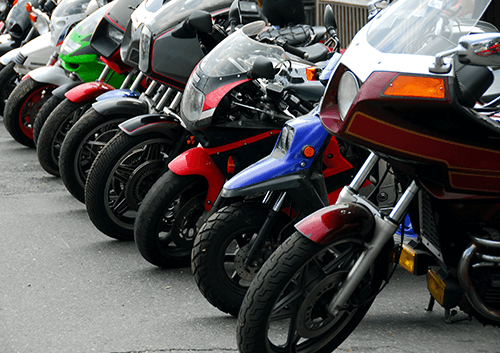 One of the fastest ways for cold to incapacitate a motorcycle is through the battery. Sulphates can and will build up during inactivity, especially if you’re mainly a summer rider who keeps his bike locked up for winter. Cold storage will ruin a battery. If you can’t run it often enough to prevent this, you can try applying a sparse coat of Vaseline to the battery terminals. This will go some way to preventing corrosion. Don’t be tempted to run the engine for short amounts of time thinking this will help, as oil by-products will cause condensation in the engine. Your best bet is a couple of short run-outs every week. In storage, bikers tend to leave weight on their wheels. A kickstand won’t suffice over a sustained period of time – it is much better for the machine if you invest in a centre stand. 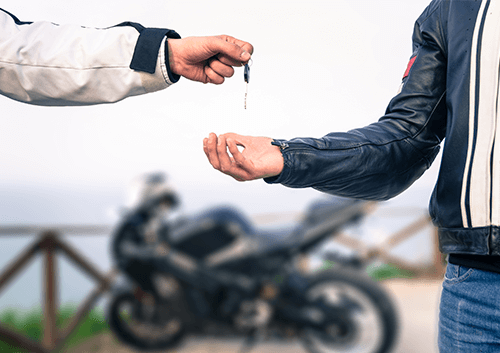 Damp can also build up if the bike is left on concrete in a cold, moist environment. A quick fix for this is a sheet of plywood or square of old carpet beneath the bike. Long term, find a place to stow the bike that isn’t damp. You’re paying too much if the storage facility ruins your stuff. Look after your motorcycle. It says a lot about you how well you treat a bike.